With teammate Cole Seely sidelined due to injuries sustained in a practice crash last week, Trey Canard was the sole Team Honda HRC rider at round 12 in Santa Clara’s Levi’s Stadium. 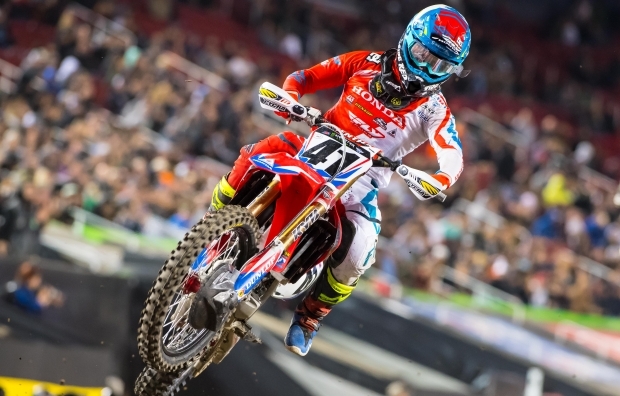 After getting off to a mid-pack start and charging though the field, Canard rode to a fifth-place finish in the 20-lap main event. 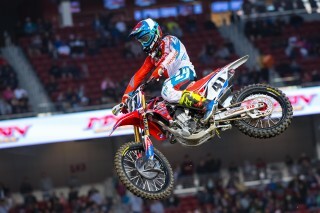 Meanwhile, fellow Red Rider Justin Bogle, of GEICO Honda, led in the race’s early going and eventually scored a sixth-place result, his best of the season so far. 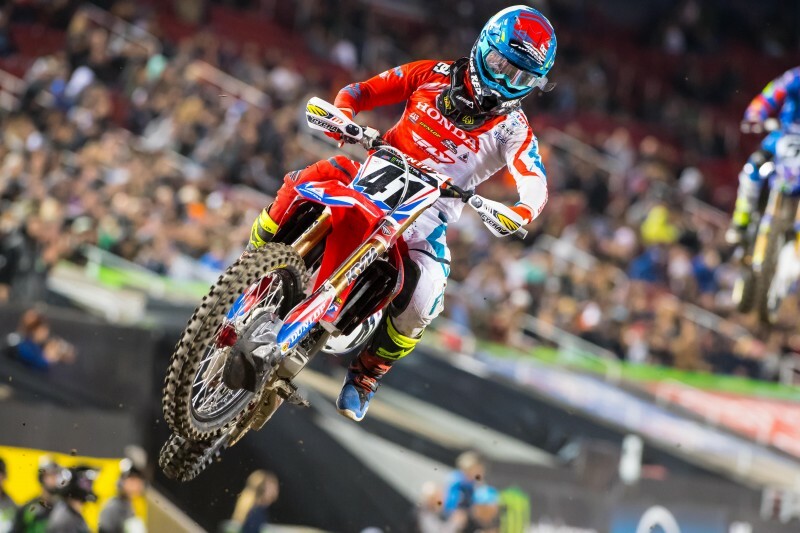 Two days before the Santa Clara race, Cole Seely suffered a hard crash while practicing at Southern California’s Milestone MX and chipped off a piece of his C7 vertebra. Seely didn’t travel to Santa Clara, and although his prognosis is not definitive, he’s currently expected to return in two to four weeks. The evening before the race, Team Honda HRC’s Trey Canard, along with GEICO Honda riders Justin Bogle, Christian Craig, Jimmy DeCotis and Jordan Smith, visited Fremont Honda to hang out with fans and sign autographs. 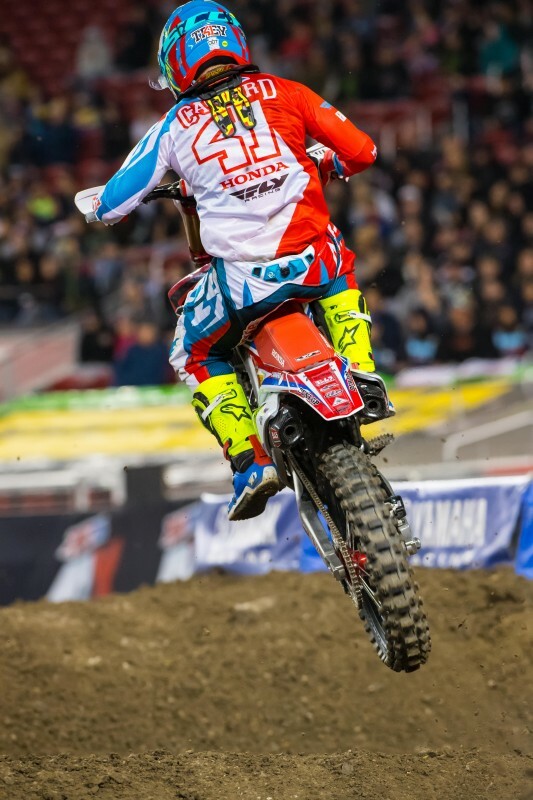 Before leaving, Canard pulled raffle tickets for six lucky fans, each of whom left with a set of tickets and pit passes for Saturday’s race, provided by Honda. 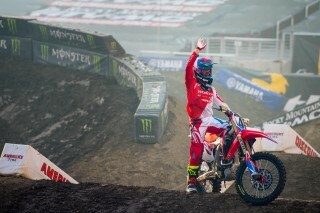 The Santa Clara track showcased some of the lowest lap times seen so far this season. 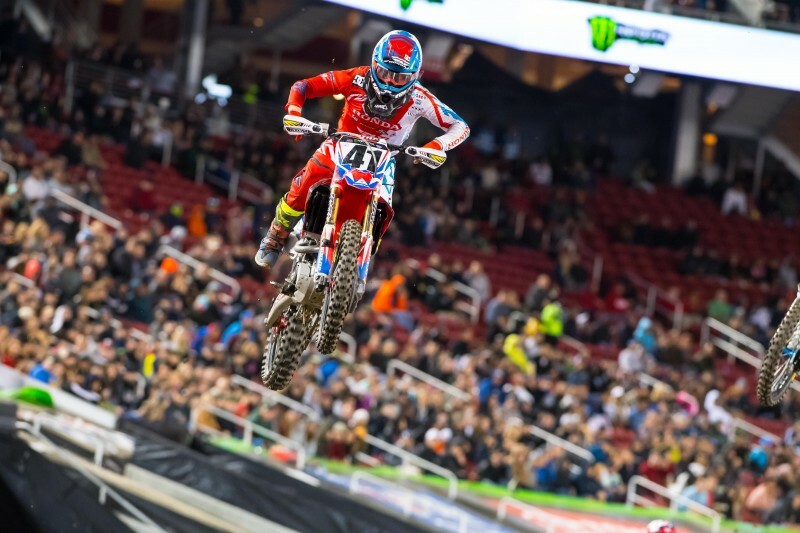 Canard was impressive throughout the day’s qualifying practice, securing the second-fastest time with a blistering 43.563 seconds. 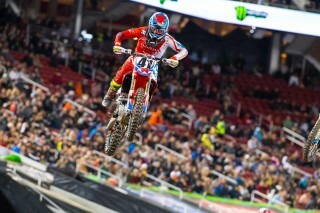 He was one of only three riders to drop into the 43-second mark. Bogle was ninth with a 44.686-second time. Canard was forced to transfer to the main event via the semi race, but he used the opportunity to lay down his fastest lap time of the night: 43.053 seconds. This week, the series heads to Indianapolis for round 13. 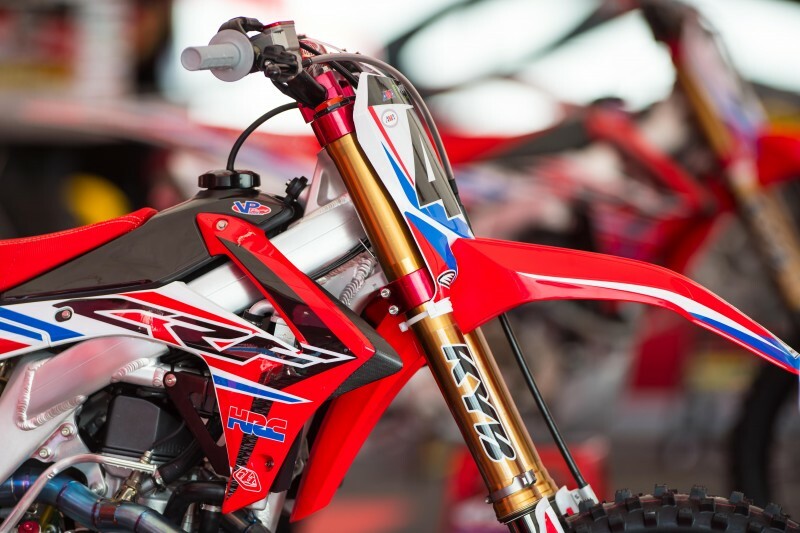 On Friday, the Honda Red Riders will make an appearance at Westfield Powersports from 6 to 7:30 p.m. to sign autographs and hang out with fans. Tonight wasn’t bad. I got in a first-turn crash in my heat race, so that started things off a little rough, but I had a decent main. My start was actually okay, but then I got shuffled back in the beginning. Overall, I just need to get a better start, which I keep saying, but if I can figure it out I know I can run with those guys. All in all it was a good day though—getting the best time in one of the practices, second overall in combined qualifying times, and I just felt good all day. We made some changes to the bike before Detroit, and I’m really happy with how everything is working right now. I just need to have the results that reflect that.